Dürnstein Castle (Burgruine Dürnstein) was first mentioned as castrum Dierenstein in 1144. 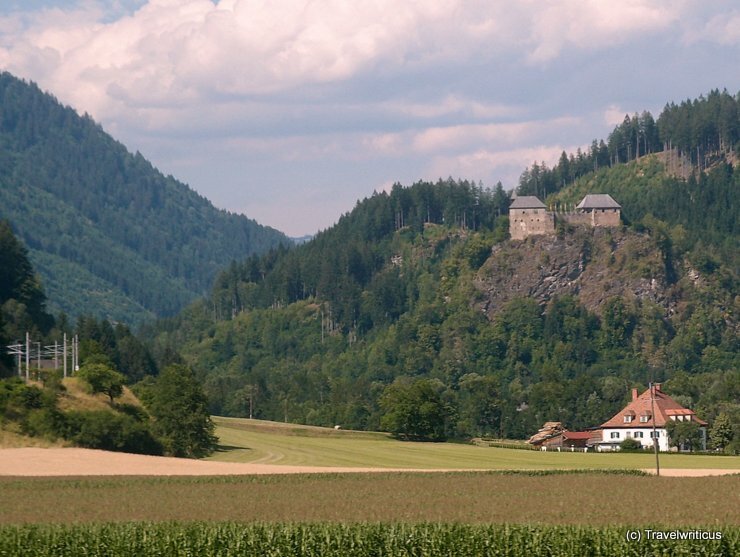 The castle is placed right at the border between Styria and Carinthia. I took this photo while riding a train between Friesach and Unzmarkt. One can see the catenary of the railroad on the left side of the picture. This entry was posted in Castles, Railviews and tagged Austria, Styria by Travelwriticus. Bookmark the permalink.